It seems as though almost everyone is having a hard time believing that Christmas is just around the corner, but it’s a fact. 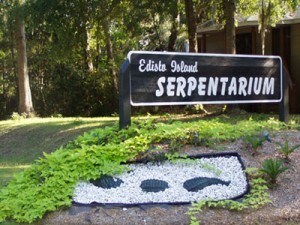 To get in the Christmas spirit on Edisto visit the Serpentarium from 6-9 p.m. Friday and Saturday nights through Dec. 29. The Serpentarium has been transformed from a reptile sanctuary into a Christmas village (featuring all the same reptiles, of course). The facility and grounds feature many Christmas lights and decorations for visitors to look upon. Visitors can also roast marshmallows over the fire and sip hot chocolate. Bring along dog food to the Serpentarium during the Christmas Light Fest and receive a discount on the admission. The dog food will go to Animal Lovers of Edisto. New toys are also being collected for the “Toys for Joy” program to benefit children in need. If you’ve never been to the Serpentarium, you’ll want to visit just to see all the native animals that call the facility home. The indoor facility features tropical snakes from around the world as well as venomous and non-venomous snakes from all over the United States. The indoor facility also features tree frogs and baby alligators. Outdoors is where the real crowd pleasers are. This is where 19 adult alligators live in two ponds. Three of the most popular alligators, Big George, Trouble and Sampson, are all more than 11 feet in length and can be found lazily lounging on the water’s edge or getting into mischief snapping their jaws and splashing onlookers. Lizards, snapping turtles, box turtles, diamondback terrapins and large African Spur-Thigh tortoises crawl around the grounds (in their enclosure) as well. Although reptiles don’t usually come to mind when one thinks about Christmas, taking family and friends to the Serpentarium this holiday season is sure to create some memorable moments. Be sure to check out Store Creek Gifts at the Serpentarium to do a little Christmas shopping as well while you’re there. The Serpentarium is located at 1374 Hwy 174. Call 869-1171 or visit www.edistoserpentarium.com for more information. Well you have done an awesome work bysharing this post because its not possible to find this wonderful venue i.e Serpentarium for celebration of Christmas. Its nice to see a reptile sanctuary as a Christmas village.We surely try to visit their.......Thanks for this nice info. Well you have done an awesome work by sharing this post because its not possible to find this wonderful venue i.e Serpentarium for celebration of Christmas. Its nice to see a reptile sanctuary as a Christmas village.We surely try to visit their.......Thanks for this nice info.